On a wall in Joshua Mann Pailet’s ‘ A Gallery For Fine Photography’ in New Orleans, hung the Edward S. Curtis photograph ‘Before the white man came’, edition 291 for $4,500. It was a photograph taken in North America in 1924 and features a Native American woman, wrapped in skins from her waist down, her hands balancing a bowl on her head. 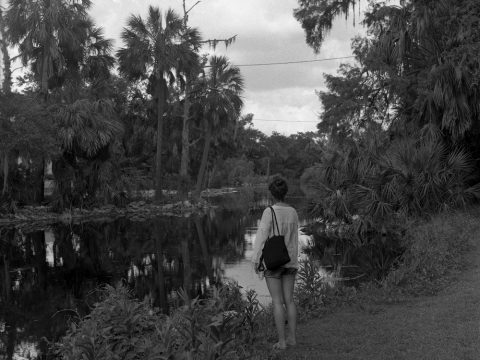 Her back is to the camera and before her lies a winding riverbed with palm trees hanging overhead. It has always fascinated me as a photograph; it seems to embody Curtis’ romantic admiration for the past. To the point where he has almost forgotten his presence within it, so intent he was on its subject’s preservation. I gazed at it longingly for another moment before heading back out into the 40-degree heat that was New Orleans in July. 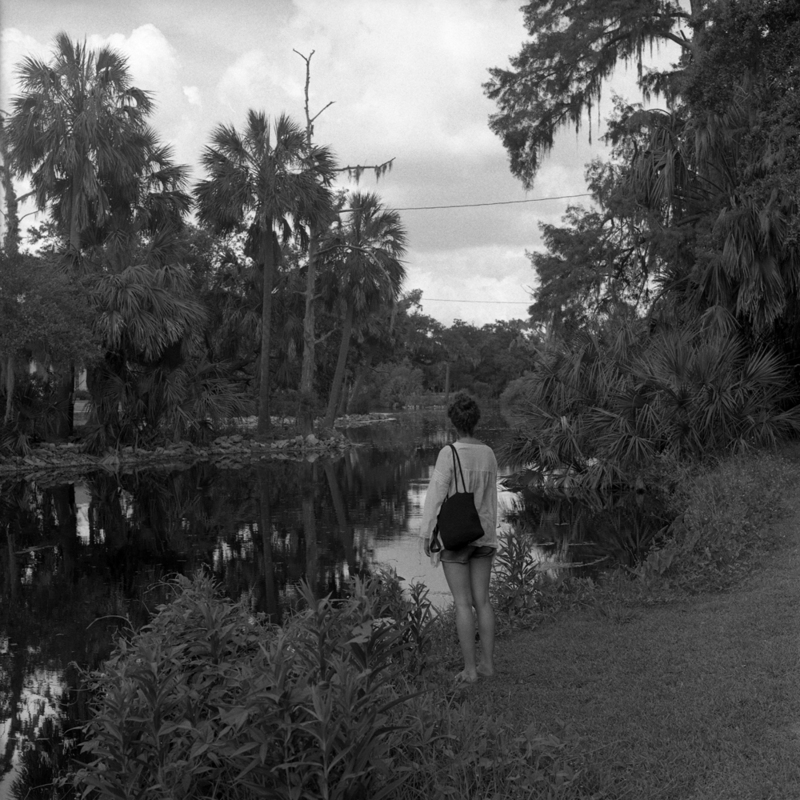 Later that day we took the tram up to the City Park, hoping to get some relief from the heat but instead running from shadow to shadow of the large palms and deep south oaks hung with spanish moss. Suddenly finding myself alone, I rounded a bend by a lake and came out onto a grey stone bridge that overlooked the water. As I turned, I gasped at what lay before me. There to the left of the bridge was Curtis’ scene. The water twisted round into the distance and palms, hung heavy, lined the banks. There even lay a small grassy patch to the right that stuck out slightly from the bank, where the lady in the picture stood. At that moment the others came around the corner and I grabbed one, standing her on the grassy spot and pulling out my camera. I moved around for a moment and found the shot. A moment from another time and another place, on a mid summer’s day in Louisiana.